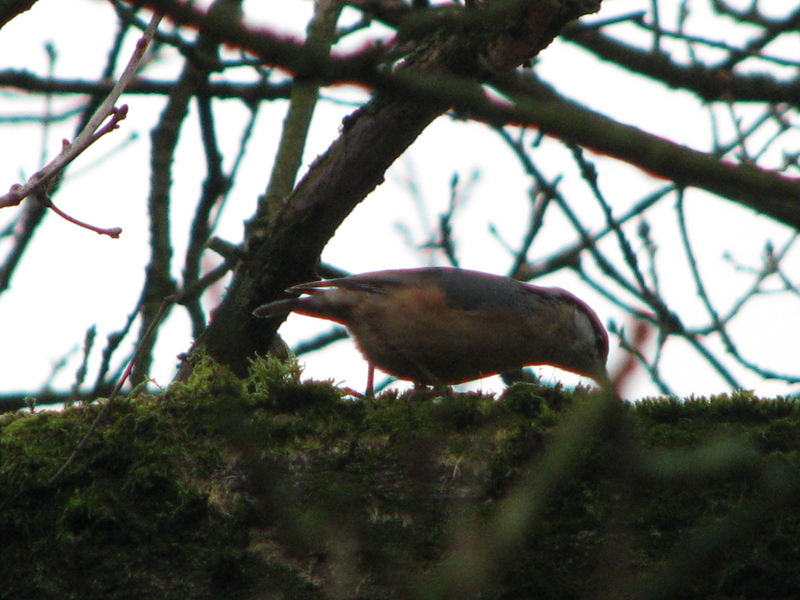 Todays lesson – the nuthatch! Last week I tried to spice up my self structured Danish lessons by combining them with some bird related education. I started indoors and picked a bird to focus on. I choose a bird I knew relatively little about, the nuthatch (spætmejse). 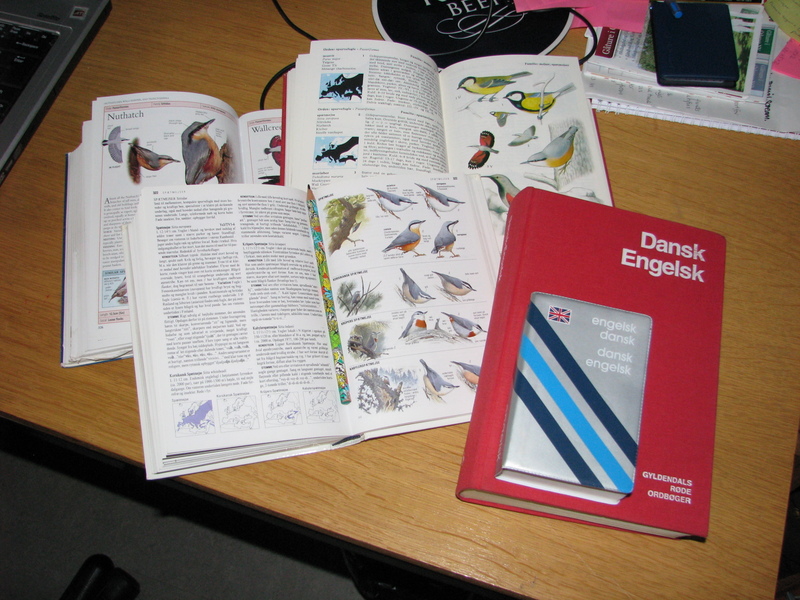 Then, armed with 3 different bird books (two Danish and one English) and two dictionaries I set to work on translating the piece relating to the nuthatch. It was a slow process but thankfully the Danish was relatively straightforward with short sentences but many adjectives! After this and some help from my friendly Danish brain (Rasmus) I decided I needed to put this newly acquired knowledge into action and go out and find a nuthatch (also as a reward!). Thankfully Denmark has quiet a loud population of nuthatch so it wasn’t hard to find them with their characteristic sharp “pew” call (listen on the RSPB site here). They can be found in areas with older more mature forest so I headed to a wood I knew had older trees near by. I was distracted by a black squirrel for a while (see earlier post!) 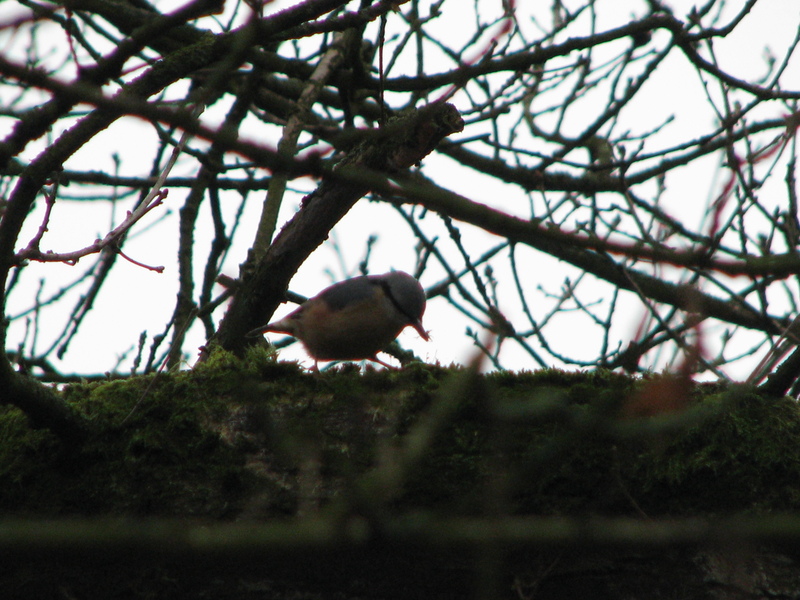 but eventually got up close a personal with a very energetic (described in Danish as Rambo like) nuthatch. Unfortunately I wasn’t too familiar with the camera I was using so the pictures could be better. But you can see its characteristic black eye strip, grey back and head and reddish under parts. There are 16 subspecies of Nuthatch in the world. In Denmark there are two subspecies, the darker bellied caesia found in Jutland and on Funen, while the lighter bellied europaea variety is found east of the great belt (see more from the Danish Ornithological Society). I did also manage to get a short video of him doing his thing on the branch. However I didn’t catch him doing the classic move where they run head downwards along the trunk of the tree…maybe next time! End of today’s lesson! To days afternoon I sitting here in my big and soft chair in the summerhouse and just 2 meter out the window on the Old Oak just on the border between my grass and the beach a nuthacth come creeping upsite down the tree weile a treecreeper come from down nd up. Amazing to overwiev again and again. And when the come to close to its other, they both turn right and not desturb its hunting for insects and etc.